Hobbit Day Give Away – Enter to Win! Now, before you scoff and sputter, “Hobbit Day isn’t even a real holiday, Ali,” let me assure you it IS. Hobbit Day is celebrated every year on the 22nd of September around the world, marking both Bilbo and Frodo’s birthday. It’s serious biz in libraries and Tolkienite/Ringer groups. Hobbits love to party, so get your inner geek on and have some fun. Here are a few to create some Hobbity merriment and geeky glee. Go Barefoot for the day! Hairy-footed Hobbits do, and so should you. If workplace health and safety regulations hinder your barefooted fun, try some Furry Adventure Slippers on for size! Throw a party in a field (huge tree mandatory). Rollicking music, dancing, games, too much food, and firework wizardry won’t go amiss. Or if learning a new, artificial language sounds like too much hard work, generate your very own Middle Earth names. This site spits out your Elf, Orc, and Hobbit monikers. Because I’m sure you’re busting to know, my Hobbit alias is Alearka Thorney. My nearest ale house is called The Flickering Candle Inn, and my trusty sword is named Augduras. Yeah baby! Alearka + ale + Augduras = deadly. Eat six meals on Hobbit Day. Start planning your elevenses now! Menus for the whole day’s festivities can be found all over the internet. I like this one. Hold a Hobbit Trivia Quiz with something “precious” for the prize. A “gold” ring? A loaf of freshly baked lembas bread and the recipe written in LOTR-styled calligraphy? Or how about a Hobbit Hole candle? To be in the running to win Spilling Ink’s Hobbit Hole candle, tell us in the comments below how you’d like to celebrate Hobbit Day and share this post on social media. Cut off time: 5:00 PM (Australian Eastern Standard Time) on Monday the 22nd of September, 2014. 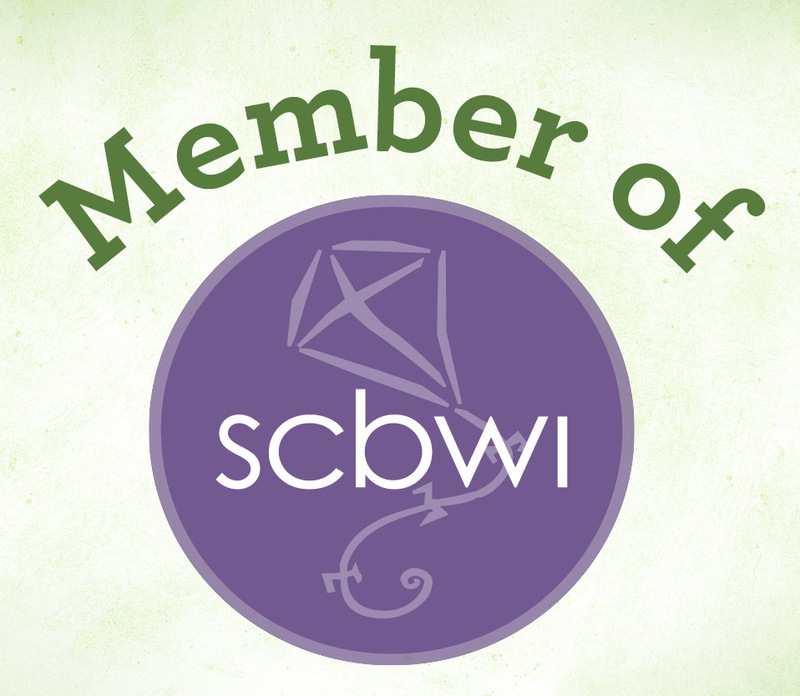 The winner will be randomly drawn and announced shortly thereafter. 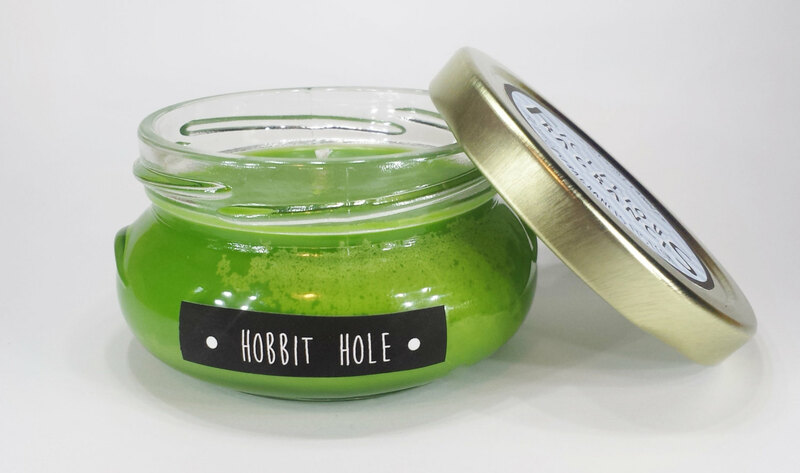 The Hobbit Hole soy candle is produced in the US by Fictitious Fragrances. The enchanting scent is pipe tobacco and ancient forest all rolled into one lush green delight. Available from Etsy. Candle image from Fictitious Fragrance’s Etsy site. 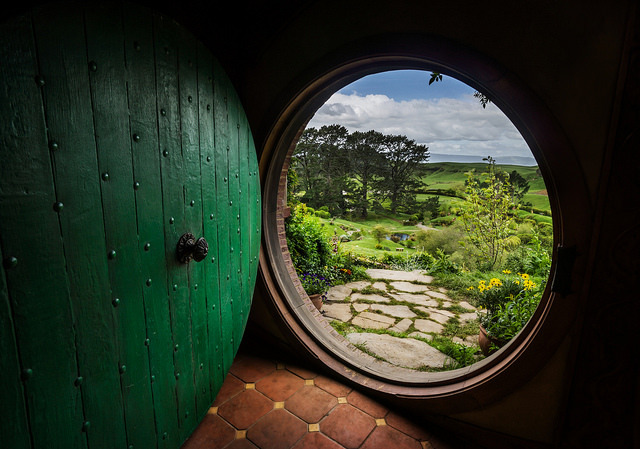 Leave a comment and tell us how you’d like to spend Hobbit Day 2014! Prev One Thing Marked Off the To-Do List: Head Shots Done! Oh! Love it Karen~You’re going all out! I’ll send you a text (or something) in Elvish! Need this! What a great idea!!!!! Thanks for visiting Suzanne! Lucky you to visit Hobbiton! Sounds like a Hobbit Hole candle is just right for you. Good luck! Sd gpt ejsy O’f fp pm “Jpnnoy Fsu”, eju, O’f trsf!! I can imagine you smoking a pipe–well, miming smoking a pipe. Enjoy your break! Sounds like fun Jacqui! Thanks for commenting! Tomorrow on that fine day I shalt be chained to my desk, dreaming of littler people with hairy toes and warm hearths in their homes who share with their friends. in a beautiful viliage far, far away. Hobbits always have two breakfasts -so my first would be the usual muesli yoghurt and juice and the second would be loaded with calories a huge stack of pancakes, bacon with loads of maple syrup with a cup of creamy coffee. Yum. Yum. Then I’d go for an adventure in my forest which starts at my backdoor..
Now that sounds like a perfect way to spend Hobbit Day. Two breakfasts is a must. Might as well make one naughty! Thanks for visiting and commenting Jocelyn! Happy Hobbit Day! Just preparing my elevenses now. Hobbit Day should not pass without an exceptional adventure, over snow-capped mountains, shared with friends. Especially short friends who have large hairy feet, and friends who must eat several meals a day whilst travelling. There also should be much quoting of poetry and obsessing over jewellery. Who’s coming with me? You had me at “much quoting of poetry,” but obsessing over jewellery sounds really intriguing. Let’s skip the snow-capped mountains and hairy-footed short friends parts and do this thing, girl-friend. At DFO. What a fun contest I missed–love hobbits!